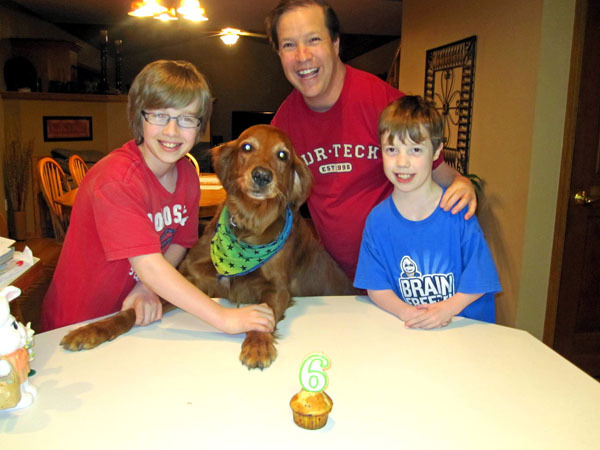 On Thursday, we celebrated our Golden Retriever Sunny's 6th Birthday. It was the highlight of our week. On Friday night, we were all excited to enjoy outdoor baseball in Minnesota! We pulled into the parking ramp right outside Target Field and were surprised to see they'd raised the price to $15.00. We figured it was worth it though to go see the Twins win!!! Right after we parked the car, someone pulled alongside us and told us the game had just been postponed due to rain. Best of all, the parking ramp people told us there were going to be no refunds! 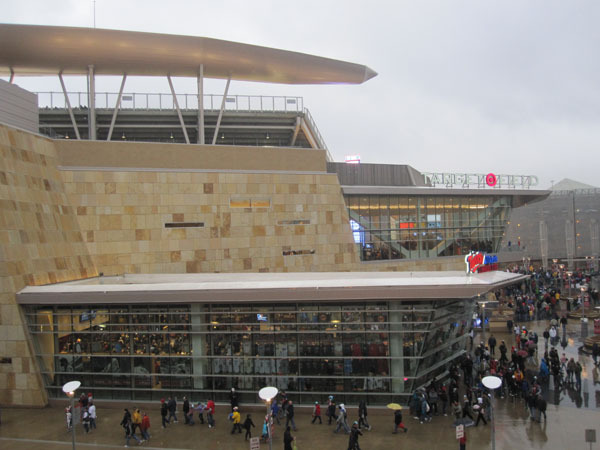 But to be honest with you, spending 15 minutes inside the parking ramp and having the chance to take a quick glimpse at Target Field seemed well worth $15.00. I felt like I was screwing them! 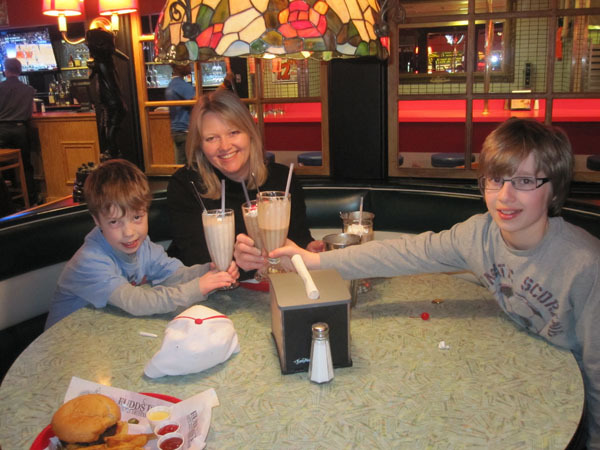 So instead of watching baseball in the rain, we went to Fuddruckers to get our Malts On! Mmmmm, so chocolatey! When we asked the boys if they wanted to dye eggs for this Easter, they told us no way. They thought they were too old to dye eggs. 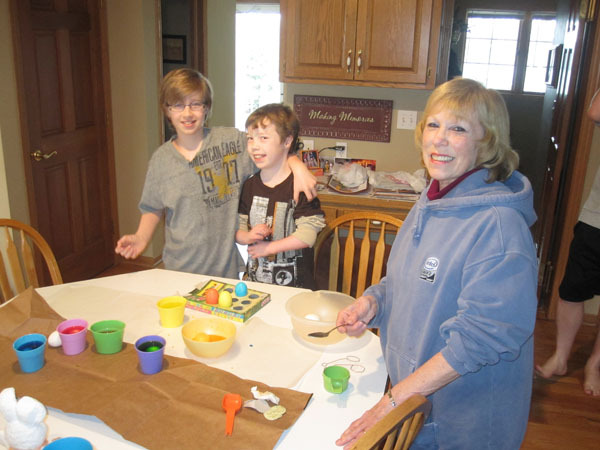 But then Grandma asked them if she could come over and dye eggs with them and they jumped at the chance. I guess if grandma isn't too old to do it, then they shouldn't be either. Because Grandma is really old! On Sunday we woke up early to go to church for the Easter service, but as usual I made us late to arrive. So we ended up having to sit in the very front row. 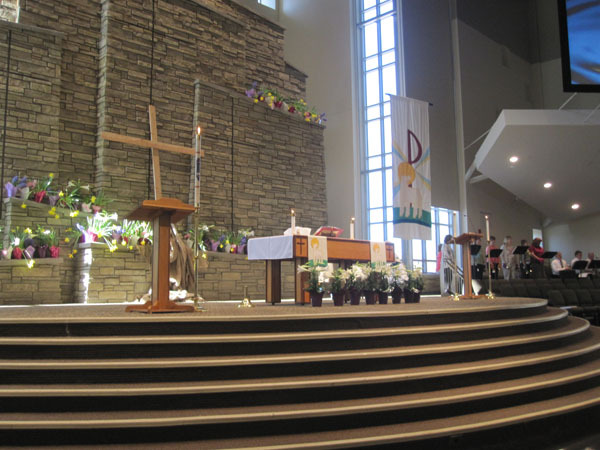 At least we had a nice view of the Easter Lilies! 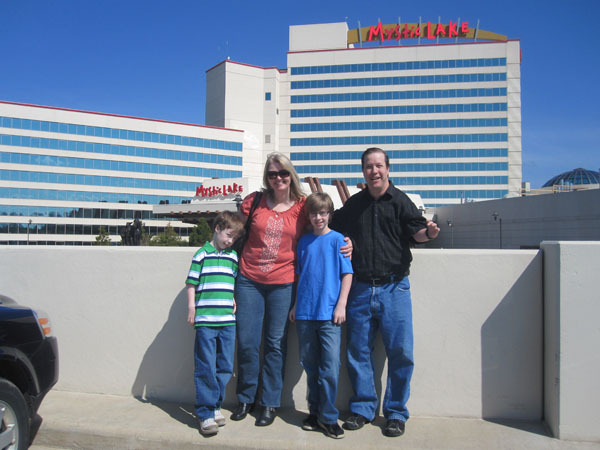 We decided to get pretty fancy for our Easter meal and went with Grandma Linda to the Mystic Lake Casino Buffet. The food was good, but the line sucked! 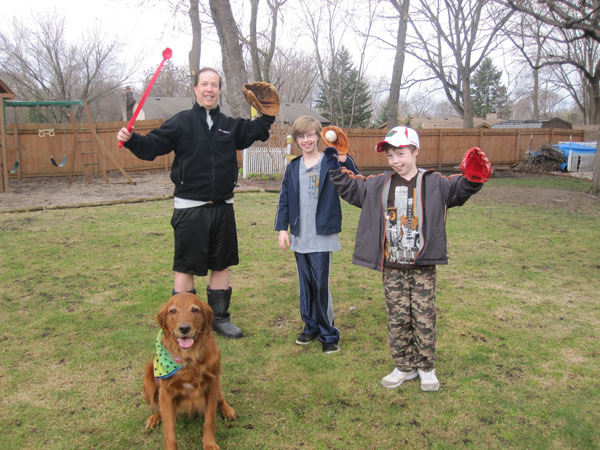 When we came home from lunch, we played ball in the back yard. Because as we learned from our years watching the Brady Bunch, mom always said "Don't play ball in the house!" 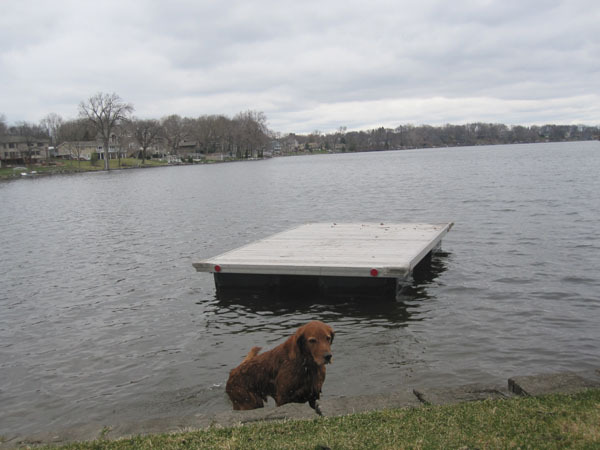 Sunny is excited that Spring is finally here and the ice is off the lake. I discovered the hard way that the water is still a little too cold for my taste. When we arrived at the lake, I noticed this raft was right next to the shore. I thought it would be fun to stand on it while I threw Sunny the ball. So I stepped off the wall and on to the raft. The thing I didn't anticipate was my momentum pushing me and that little raft about 15 feet out. The water was pretty calm so there I was going to sit. I looked up the hill and hoped for a moment that Miss Sheri would wander down and rescue me. She didn't. It looked like I was going to be stuck there unless I did something about it. So I reached my poor little arm into that frigid water and paddled like a mad man. 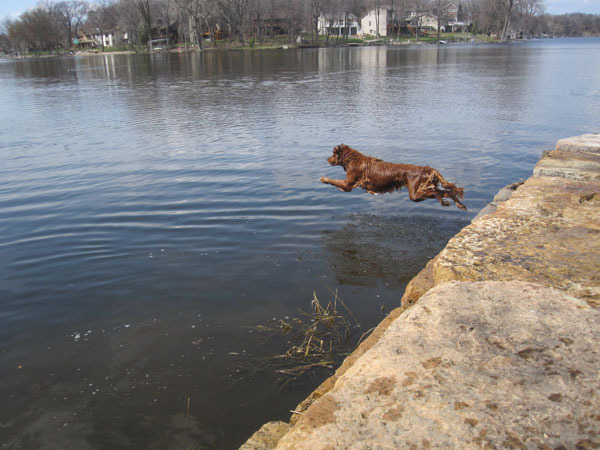 After about 10 minutes of trying to tug my winter weight, I finally was close enough to take a leap towards land. I missed and soaked one leg up to my knee. 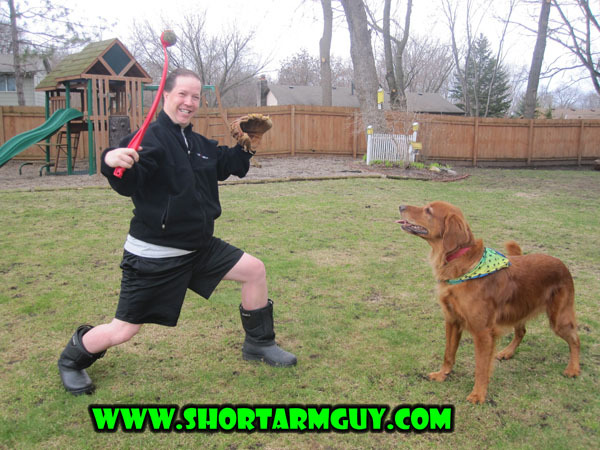 I then had the opportunity to stand with a wet shoe and sock and throw my dog the ball from shore.